Ram Island in Wheeler Bay. A five-acre island off the coast of St. George, complete with a private four-building compound, is on the market for just less than $1.4 million. The place is only accessible by boat, but no worries: The price also includes a Boston Whaler boat, kayaks and a canoe. 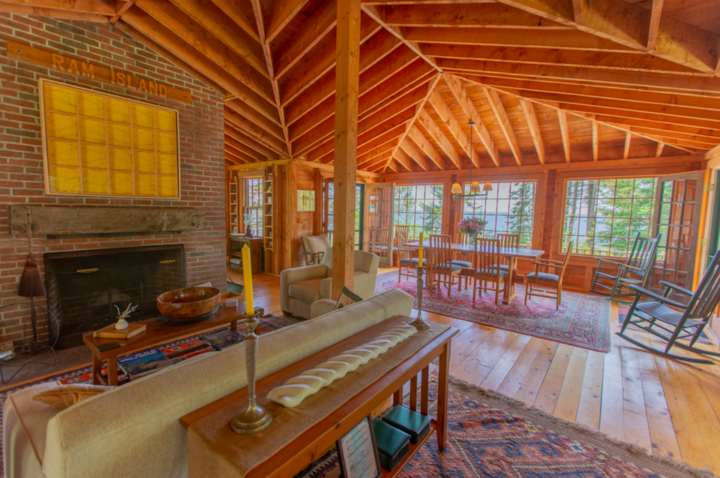 The central home on Ram Island is a nearly 2,700-square-foot camp what features Arts and Crafts architectural stylings, four bedrooms and two bathrooms. The interior of a home on Ram Island off St. George. The island, complete with a four-building compound and boat, is on the market for nearly $1.4 million. “Outdoor walkways connect to a library with built-in bookshelves; a master suite with a full bath, walk-in closet, and second fireplace; and a guest building with three additional bedrooms and another full bath,” House Beautiful gushes. 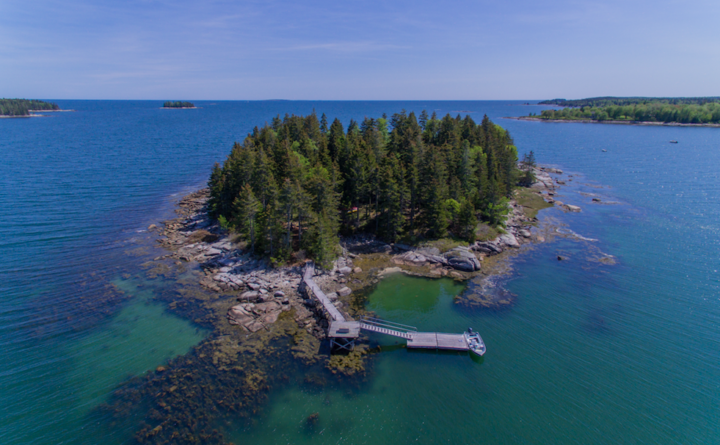 The Realtor notes the island’s location “a stone’s throw from the mainland” and the surroundings of “a picturesque working harbor” Wheeler Bay. It has a rainwater collection system that provides 1,800 gallons of water, solar panels and a generator. Why is it called Ram Island? Well, it could be because the island was historically used as a safe place to pasture sheep, according to the Realtor.